Are you having a dental emergency? 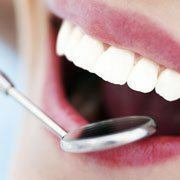 Contact Distinguished Dental of Keller immediately to speak with a member of our team. We are committed to providing same-day urgent care for dental emergencies, so you can return to good oral health and well-being as quickly as possible. If we can’t see you immediately when you're experiencing a dental emergency, one of our team members will walk you through first aid and pain management over the phone. We are firmly committed to meeting the urgent needs of our Keller and Ft. Worth patients. Other emergencies may require a visit to your local emergency room instead. For instance, if you have cut your tongue or lip and it won’t stop bleeding, you should visit your nearest emergency room. Similarly, if you think you might have broken your jaw, you need more advanced care than we can offer. 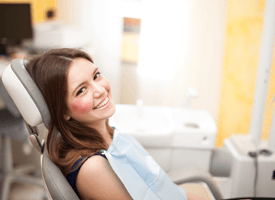 We will be happy to help you with dental restoration once we’re sure that your life is not at risk. Our team works with local emergency rooms regularly, and we’ll be happy to coordinate your oral and overall health care to restore your smile as quickly as possible. Other problems may not qualify as urgent emergencies but should still be handled in a timely manner. Maybe you have something stuck between your teeth and you can’t remove it with flossing or brushing. 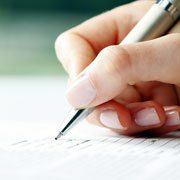 Our team will be happy to talk with you, especially if you have questions about whether or not your problem is urgent. If you need same-day care, we’re here for you, and if your health concern can wait, we’ll walk you through how to care for your smile over the phone to ensure no further damage occurs. Knocked out tooth or restoration – retrieve the knocked out tooth or restoration. Handle by the biting surface of the tooth and clean off the knocked out tooth with cool water. Do not scrub or brush the tooth or restoration unless expressly directed to do so. Rinse out the mouth with cool water. Replace the tooth or restoration in the vacated socket whenever possible. If you’re unable to replace the tooth, you can also hold it between your cheek and gums or store it in a container with water or milk. Broken tooth or restoration – you can follow most of the same instructions for broken teeth that you do for knocked out teeth. Handle the broken parts of teeth by the biting surfaces and not the root and clean them and your mouth with cool water. Then, store the broken tooth pieces in a container of water or milk, until you reach out office. Broken or bent denture – do not continue to wear your denture if it’s broken, as this could damage your soft tissue. Instead, store the denture in a container of water or denture cleaner and call our team right way. If you experienced any soft tissue damage, you can apply pressure to the site or use ice packs to stop bleeding and prevent swelling. Toothache or dental sensitivity – severe toothache or dental sensitivity can be indicative of a number of oral health concerns. Avoid chewing with the part of your mouth with the damage tooth. Take over the counter pain relievers as directed to reduce pain, but do not apply aspirin directly to the tooth. Soft tissue laceration – clean out your mouth with cool water and use gauze or clean cloth to apply pressure to stop any bleeding. You can also use ice or cold compresses to slow bleeding or reduce swelling. Foreign item stuck in teeth – use floss to attempt to dislodge the stuck item. You can also brush your teeth or swish water around the tooth. If you’re unable to dislodge the stuck item, do not use sharp objects that may damage soft tissue. The most important way to prevent dental emergencies is to carefully brush and floss your teeth each day. In addition to your daily hygiene, you should be visiting our office at least two times each year for preventive dental checkups and teeth cleanings. If you play a sport, always wear a mouthguard during practices and competition. Patients who suffer with teeth grinding or clenching called bruxism should wear mouthguards during sleep. You should also avoid using teeth as tools to open packages and chewing fingernails or ice. If you’re not already one of our Keller dental patients, our team would be happy to help you during a dental emergency. Call our office at any time, even if it’s outside of our regular hours. You will receive directions for how to reach an on call representative, and we’ll do our best to fit you in for an appointment right away. We look forward to helping you relieve pain and renew oral health immediately.